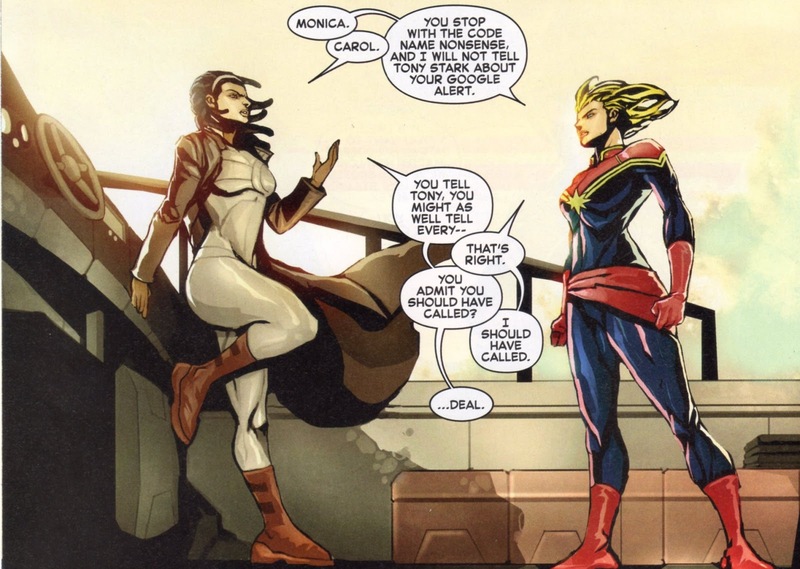 Marvel has cast a relative unknown for a crucial role in the upcoming Captain Marvel film. DeWanda Wise has made a recent splash with her turn as Lola Darling in Spike Lee’s She’s Gotta Have It reboot for Netflix. Wise has had a long career of bit roles, but is still a young fresh face to star opposite her Oscar-winning, veteran counterpart Brie Larson. Fangirls and boys are speculating that Wise may have been cast as a Carol Danver’s compatriot Monica Rambeau from the comics. Rambeau was a one-time Captain Marvel herself, and was a lieutenant in the New Orleans Harbor Patrol who, like Danvers gained superpowers after being bombarded by extra-dimensional energy, produced by an energy disruptor weapon created by a criminal scientist. Rambeau was created by Roger Stern and John Romita, Jr., and first appeared in Amazing Spider-Man Annual #16 (October, 1982) as Captain Marvel. Since then, she’s had also worked under a few aliases like Spectrum, Photon, and Pulsar. Wise joins rumored cast members Samuel L. Jackson as Nick Fury, Ben Mendelsohn as Skrull King, and Jude Law as Mar-vell. Directors Anna Boden and Ryan Fleck are aiming for mid-2018 to start production on the screenplay written by Nicole Perlman and Meg LeFauve. The film hits theaters on March 9, 2019.